Voice has gone mainstream, with Alexa sat on 100 million + devices around the world, and voice assistants available on your phone at the click of a button. Despite this, plenty of businesses still haven’t started owning their voice strategy. Our services help you use voice to grow your business. Like apps on a smartphone, Skills and Actions are a vital part of a user’s experience using their Alexa or Google Home device. We build 3rd party Skills and Actions for your business from the ground up, so that your customers can begin interacting with your brand using voice. To do this, we use the methods below. We spend time with you, getting to know your business and how it can benefit from voice. We will have a wide-ranging discussion about the opportunities that voice can provide, and what goals you want to achieve by investing in your voice strategy. Our team of creative problem-solvers will then devise a bespoke creative idea for your Alexa Skill. Any Alexa Skill is only as good as its conversation architecture; this is basically all of the conversation options that are available when users interact with your skill. Our team of linguists creates the conversation architecture for your skill, anticipating every possible request that a user could have when interacting with the skill and creating replies that will be read out by the user’s device. When creating this content, we optimise it for the Alexa platform. Every letter is typed with one thing in mind; making it sound natural being read out by an Alexa device. Our development team, working closely with the linguistic team, is focused on delivering your build on time and on budget. We offer full transparency throughout this process, providing consistent progress updates and client involvement in the build. The aim of the development phase is to ensure that the Skill we build for you is tailor-made to achieve your goals. Once your Skill is fully built, we work with Amazon to get it listed on the Amazon Skill store, at which point any user will be able to download and use it on their device. Once your skill is built and available to the public, we don’t stop there. We monitor and analyse the success of the Skill to see how users are interacting with it, and how it can be improved. The first few months of a Skill being live are a phase of constant improvement and tweaking based on analytics data and human analysis of your skill’s performance. 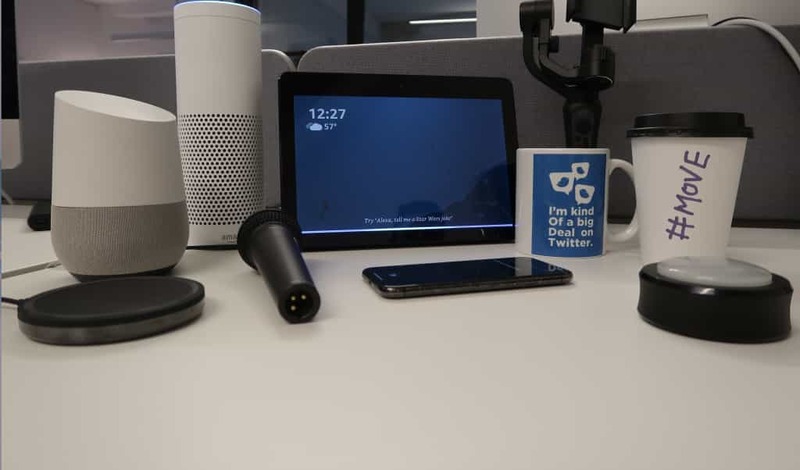 The team at Move also produce The Voice for Voice, the UK’s leading podcast about voice technology.